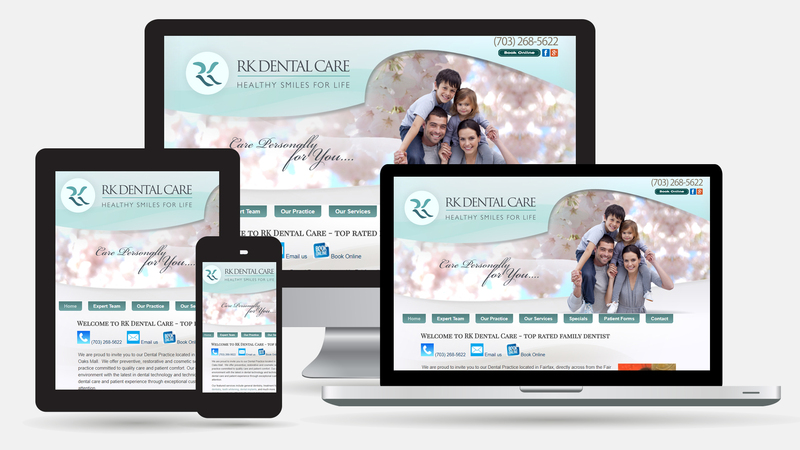 RK Dental Care, LLC | Pebble Infotech Pvt. Ltd.
We are proud to invite you to our Dental Practice located in Fairfax, directly across from the Fair Oaks Mall. We offer preventive, restorative and cosmetic services. We are a family dental practice committed to quality care and patient comfort. Our goal is to provide a clean, comfortable environment with the latest in dental technology and techniques.